For those unfamiliar with my previous activism work, I make a lot of videos. My Youtube page has over 370 videos, 1,782 subscribers, and it gets over 1,200 hits every day, with a total of over 3 million views. Almost all of those hits are the one video we have of my wife Christine Lowe having a grand-mal seizure. I have one 30 minute playlist consisting of 49 small clips of me dressed as Jesus, crashing the 2012 Ottawa Pride Parade holding a sign that says: “Jesus ♥ Queers and Pot,” with a pot leaf where the “o” should be. I have a 15-episode series called The Sneaky-Toker’s Guide To Ottawa, that shows over 17 discrete locations in the city where one might smoke a joint in relative peace. There is footage of me addressing the 4,000 person crowd at 420 Ottawa in 2012; of Christine and me handing out copies of our children’s book, Mommy’s Funny Medicine, in front of 11,000 people at 420 Ottawa 2013; and numerous commentary videos where I address a wide range of topics (but mostly marijuana-law reform issues). There is even a read-through of the entirety of Mommy’s Funny Medicine; since I monetized the page in 2012, it has brought us anywhere from $100-$130 every 3-4 months since! Although I have done stand up comedy on and off since 1995, my heart was always in sketch comedy. Monty Python’s Flying Circus and Kids In The Hall are my biggest influences, though this is not really reflected in the videos on my page because we have no sketch comedy on it as of yet. Sketches require several people to act and to shoot the sketches properly, and as the entire cast and crew so far has been my wife and myself, no sketches, as such, have been produced. I have produced a few Gilliam-influenced animated pieces, however, and they can be found on the page at youtube.com/RussLBarth. I managed to get one interview done that spring, with 420 Ottawa 2012 organizers Graham Kittmer and Claude Galipeau, but then I was stuck with the problem of having to come up with more people to interview, and in 2012 that field was pretty sparsely populated. I wanted people who were doing well in their fields to come forward and discuss their use of cannabis in a positive way. But most of the people I knew who used cannabis were either dealing with serious medical issues, or being very discreet about their use. The main problem, however, was where to shoot it. A home-based podcast, in my opinion, would have been a boring format to repeat week after week, even if I did have a number of potential interviewees with whom I could engage. I wanted a show that looked more like The Daily Show than the podcasts I have seen people issue from their offices or home studios. However, I had neither the money or wherewithal to set anything up in my 544 square foot apartment. So the idea faded as quickly as it had come. Then in April of 2015, BuzzOn opened, and we started spending some time there before they shut themselves down for renovations. They re-opened in October of that year, and we dropped by once or twice before the year ended. Unlike Vapor Central in Toronto, BuzzOn did not have the infrastructure to conduct staged shows that we could broadcast: no cameras mounted to the ceiling, no stage lighting, and no desire on the part of the owners to spend a bunch of cash and effort on such a setup any time in the near future. I did discuss the idea of a weekly web-show with them in May, and they liked the idea, but were too busy dealing with things like ventilation, exit signs, lighting, and wheelchair accessibility to even consider moving into the broadcasting field. In the first week of 2016 – after months of sticker shock at the grocery store – I realized that I needed to start coming up with at least $50 per month if I wanted to keep eating as healthy as I had been for all 30-some days of each month. I put out some feelers to see if there would be anyone willing to sponsor such a show, and asked Pot TV if they would be willing to add me to their roster. I was not able, at the time, to find any Ottawa head shops willing to sponsor the show even though my introductory price for commercials was just $10 for a 5 second video blurb, and a 5 second still frame at the closing of the show. So I started asking the Canadian Marijuana Community at large if they would be interested, and many accepted the invitation – mainly compassion clubs in Toronto. 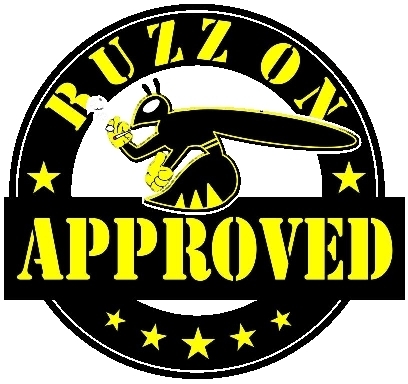 Next, I ran the idea past the guys at BuzzOn, and they liked it. I assured them we would not get in the way, and would be in and out inside of 90 minutes each Tuesday. The next issue was getting guests to come to the venue. Some wouldn’t be able to make it at the broadcast time, and some would have trouble getting to the venue at all. I realized that some of my interviews would have to be conducted “on location”. The main obstacle, however, was technical. Who would I get to produce the show and handle the live-stream while I sat there being smart and charming on camera? Enter Nathanael Newton. His father is a somewhat well-known pastor and anti-marijuana crusader in Cornwall, Ontario who has had some letters to the editor published. But I actually met Nathanael through his Youtube page. He had been making time-lapse videos of 420 Ottawa since 2012 using the local cameras – The Hill Cam on the internet – showing the crowd assemble, let off a cloud of smoke, and disperse, compressing 3 hours of activity into roughly 30 seconds of footage. We became Facebook friends and talked sporadically until he moved to Ottawa in November of 2015. Tracy Lamourie of Lamourie Public Relations was brought in to drum up publicity and maybe some sponsors and guests, and with the team in place, we announced the show on Facebook and Twitter in late January. About two weeks later, we decided that it would be best for our show if we didn’t broadcast on Pot TV’s Youtube page as we had originally planned, but rather go it alone on my monetized page. 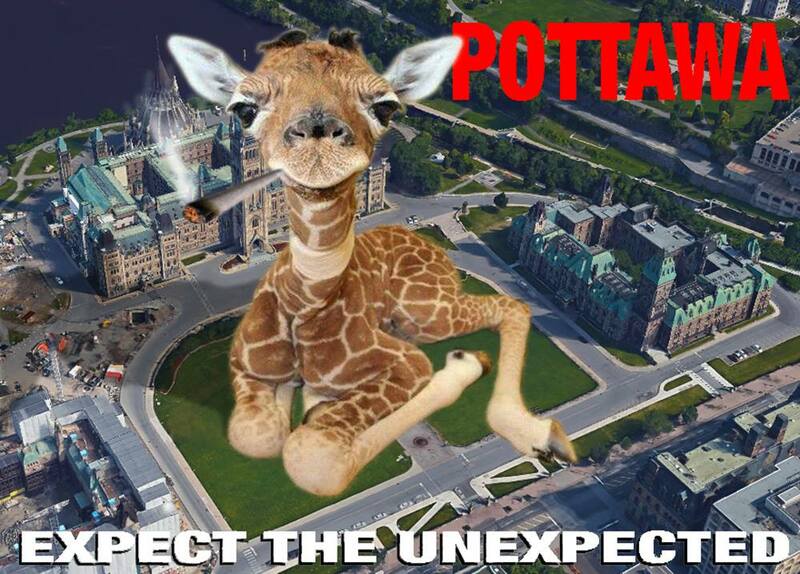 Though Pot TV’s subscription numbers were higher than my own, we decided it would be better if Pottawa was more localized and under our own control. I spent the next few weeks lining up guests and chopping video to put together all the five second advertisements and opening and closing theme sequences. By February 16th, we were ready to go. We planned episode one as an introduction to the show, the venue, and the host, so we didn’t have a guest booked. Then the Great Blizzard Of 2016 hit: the largest dump of snow Ottawa had seen since 1912. It made traveling to and from the cafe tricky, but we made it. We had no idea where in the lounge to set up, how the lighting would look, or how smooth the show would go. Each episode has been a bit better than the one before it, and we are making constant improvements to the look, the sound, and the content. We have plans to do pre-recorded episodes at various locations, and to shoot pre-scripted sketch comedy bits and on-the-street interviews with random people. And of course, we plan to interview every marijuana activist in the area as time and scheduling allows. Ottawa U law professor Eugene Oscapella will be interviewed on an upcoming show, as will many of the operators of the area’s new compassion clubs, including Weeds, which is just a few doors east of BuzzOn. 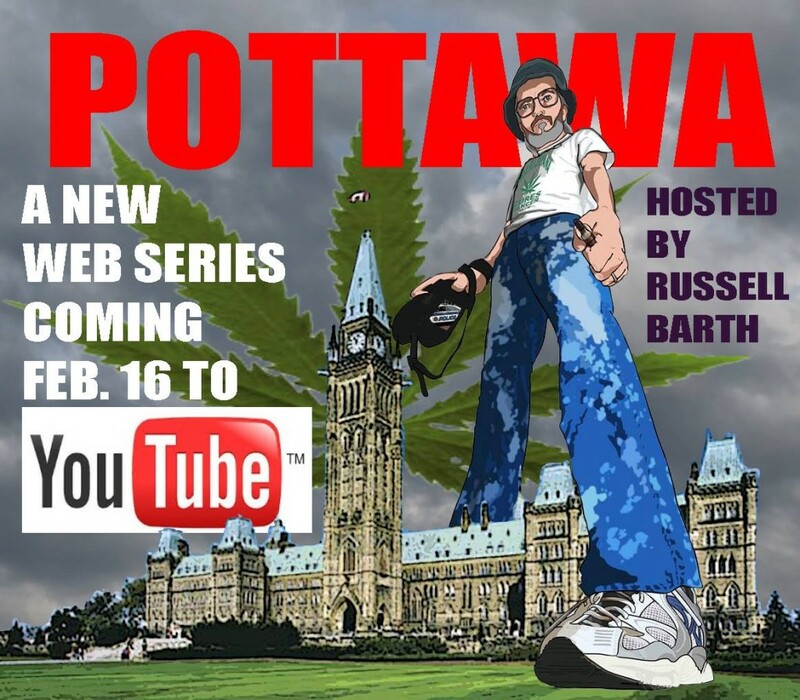 And we will have a special episode about Ottawa’s 420-2016 gathering on Parliament Hill on April 26th. All in all, it has been a rewarding adventure, if for no other reason than Christine and I are getting out of the house for something more social than groceries. But there has been enthusiasm around the idea, and – because we wanted, from the beginning, to make it a group show and not simply me ranting for 30 minutes – we expect it to grow into something better as the weeks go on. Born in 1969 in Montreal's West Island, Russell Barth was raised in Rigaud Quebec and VanKleek Hill, Ontario. He and his wife Christine Lowe became marijuana-legalization advocates in the summer of 2002, and have since appeared in countless TV, print, radio, and net articles. Co-author of the world's first children's book about medical marijuana (Mommy's Funny Medicine), Russell went on to become the most-published letter-to-the-editor writer in Canadian history, making him fourth-most- published in the world. Next article Is April 20 Ready To Become An International Holiday? Who Sits On The Federal Task Force on Cannabis? Synthetic THC Pills or Whole Plant Cannabis?